Enticing Star faces her Group 1 moment of truth in the Winterbottom Stakes (1200m) at Ascot this Saturday. The Testa Rossa mare lost her unbeaten record in the Lee-Steere Stakes Gr.2 on November 10 but she remains the pick of the local brigade at $6 behind visiting mare Viddora who is the $2.60 favourite. Testa Rossa, who is in semi-retirement at Vinery, sired her from Favourite Star (More Than Ready) who is closely related to Group 2 winners Perfect Jewel (WA Guineas) and Star Exhibit (Perth Cup). Peters bought into the family at the 2001 Inglis Easter yearling sale when he purchased their second dam Lady Ashford (Royal Academy) for $130,000 from Vinery. The Tourism WA Trophy (1100m) follows the Winterbottom Stakes and More Than Ready can bob up with Dam Ready. Formerly with Lindsay Park, he is now trained by former Geelong AFL champion Mark Bairstow on the coast at Port Kennedy. Dam Ready’s dam Waterwise (Zabeel) is out of a half-sister to Catbird (Golden Slipper Stakes Gr.1) and Danbird (Pago Pago Stakes Gr.2). She was bred by Gerry Harvey at Baramul Stud and the Vinery legend also sired her Brisbane stakes winner Centre Pivot. All Too Hard has a Baramul-bred mare with Golden Slipper links knocking on the door for a city win at Ascot. His last-start Northam winner Fine Scent has been entered for the TABTouch Regional Championship (1200m) by in-form trainer Simon Miller. Fine Scent is raced by Ray Meadowcroft and is a half-sister to 2003 Golden Slipper winner Polar Success (Success Express). 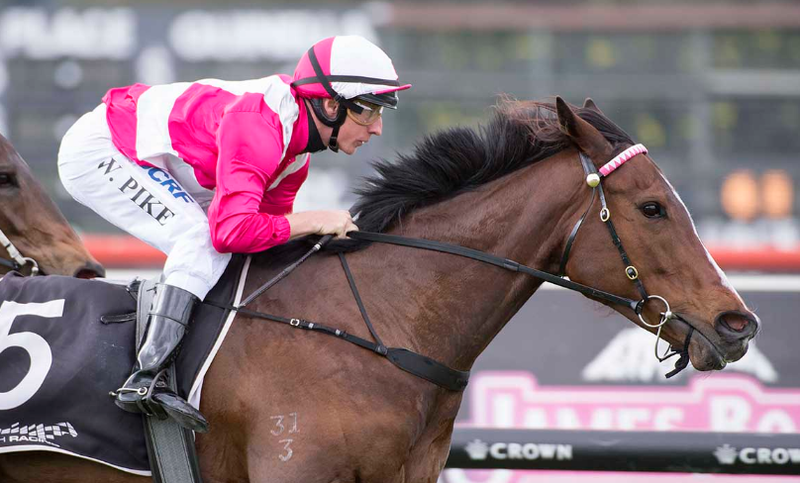 All Too Hard has several winning chances spread over the Canterbury card on Friday night and, apart from Fine Scent, there’s more in the pipeline around Australia on Saturday with Behemoth (Moonee Valley), Curdled (Doomben) and Over And Above (Morphettville). Tiley has earmarked next year’s Livamol Classic Gr.1 as a long-term target for Demonetization. In California on Sunday, More Than Ready mare Uni can climax closing day of the Del Mar autumn season with her first Group 1 in the Matriarch Stakes. Trainer Chad Brown is impressed with the quality of the field for the $300,000 fillies feature on turf over 1600m. Uni (4f More Than Ready – Unaided by Dansili) is unbeaten on the east coast this year following wins in the Plenty of Grace Stakes LR at Aqueduct, De La Rose Stakes LR at Saratoga and Nobel Damsel Stakes Gr.3 at Belmont.